The Matsés peoples of Brazil and Peru have compiled an astonishing 1000-page encyclopedia of their traditional medicine, with the help of Acaté Amazon Conservation, a non-profit organization whose aim is to help the indigenous peoples of the Amazon to live sustainably and protect their rainforest. In this encyclopedia, five elder Shamans of the Matsés have explained every plant used in their medicinal system in details. 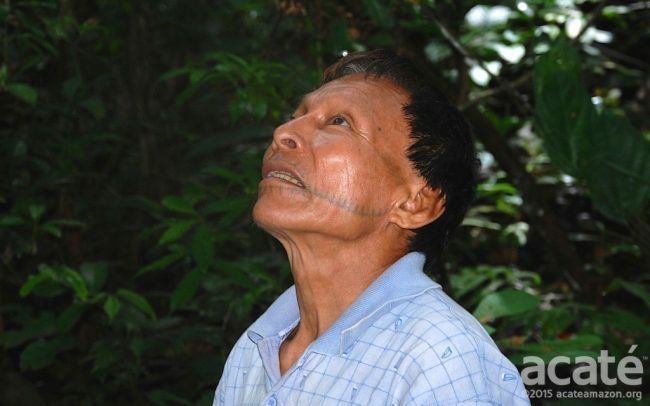 The deep knowledge of medicinal plants of the rainforest that helped these Amazon tribes to enjoy their optimal health for centuries is invaluable, but unfortunately, whole languages and mythologies are vanishing, and in some cases, even entire indigenous groups are falling into extinction. Until now, the natural medicine system of the Matsés has been taught only orally from one person to another. Therefore, this Encyclopedia project, which was 2 years’ work, is of high importance. It is the first time something like this has been done, even though the goal is to preserve their tradition for the future. The encyclopedia is written in the original languages of the Matsés in order to protect this important information, and even though it won’t be accessible to us, their traditional natural medicine will surely not be lost. Christopher Herndon, president, and co-founder of Acaté, explained that the tribe also printed their encyclopedia in their native language to ensure that the medicinal knowledge is not stolen by corporations or researchers as it has happened in the past. This encyclopedia is meant as a guide for training new, young shamans in the tradition and recording the living shamans’ knowledge before more of the elder healers were lost and their knowledge disappeared. Additionally, Acaté has also started a mentorship program with the goal to connect the remaining Matsés shamans with young students. Herndon believes that this methodology they developed can be a template for other indigenous cultures to safeguard their ancestral knowledge.